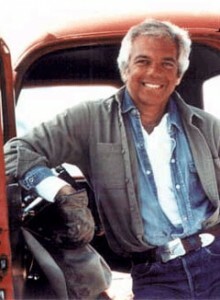 is Ralph Lauren. I am not a die-hard Oprah fan but I have been committed to watching her last week’s worth of shows, and boy was I excited when I saw she visited the Double RL Ranch. This is, of course, Ralph Lauren’s ranch outside of Telluride. 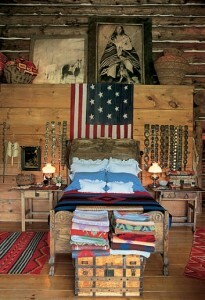 It was decorated to a T. Log cabins and Teepees were flawlessly styled in everything Ralph Lauren with an Old West theme. No surface was left untouched. But my favorite part was when we saw wife, Ricky, and daughter, Dylan, and what they were wearing. Their jewelry stood out the most for me (although I really want to go out and buy the same shirt Dylan had on and, I have a hunch who makes it). 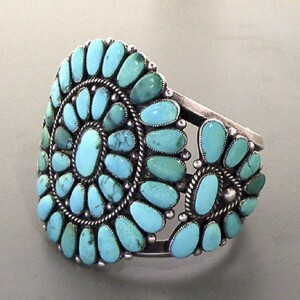 I loved all the old antique turquoise and silver jewelry or old pawn, as it is known by collectors. So, when I looked at my latest issue of Vogue and saw a model wearing some vintage Ralph Lauren turquoise jewelry, I was not surprised. I decided to investigate and found that he has added a somewhat new division to his design world, the Ralph Lauren Gift Vault. Here he collects timeless pieces that along with is clothes and home decor paint the perfect picture of old world americana. Telling a story is what he does best, his meticulous attention to detail and design makes the consumer want to not only buy his pieces, but jump into to the story he creates. 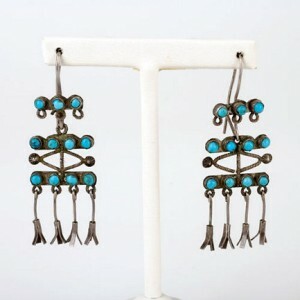 This entry was posted in Design Inspiration, Hip and High End, Mollie, Uncategorized and tagged bracelets, earrings, old pawn, silver, turquoise, vintage. Bookmark the permalink.